With its rich diversity Myanmar is not an easy country to fit into 6 days, but knowing that schedules don’t always allow for as much time as we would like we have managed to include the highlights of Myanmar in this amazing six day tour. You will experience the wonderful people of Myanmar, visit historic sites and modern markets, see rural Myanmar as well as its cities and explore both active and ancient religious temples. In six amazing days you will experience the wonder of Myanmar – one of the best kept secrets in Southeast Asia! Arrive on your flight in Yangon where you will be met by your guide and transferred to your hotel. Enjoy a full day tour of the city center, taking in some of the highlights such as the National Museum, Bogyoke Aung San Museum, Chaukhtatgyi (a colossal reclining Buddha), and Karaweik Hall on Kandawgyi Lake. No visit to Yangon would be complete without spending some time at the stunning Shwedagon Pagoda, one the most venerable places of worship in Myanmar. Take in the array of gold and gems which light up around the giant golden dome as the sun slowly sets around you. Watch as the locals come here to make offerings before they return home for the day. Return to your hotel in the early evening. 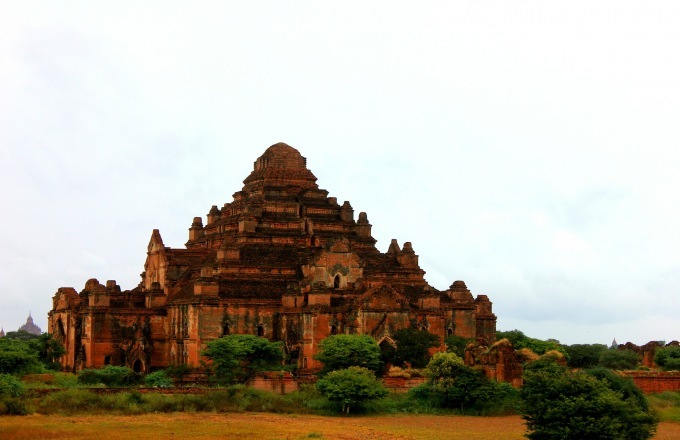 In the morning catch your flight to the ancient city of Bagan where you will spend the day exploring the city. (Yangon to Bagan flight included) Visit Nyaung U Market, Shwezigon Pagoda (the prototype for later Myanmar Stupas), Kyansittha Umin, Wet-Kyi-Inn Gubyaukgyi Temple with its exquisite mural painting from the 13th Century, and Htilominlo Temple. After lunch, visit a fascinating lacquer-ware workshop before continuing on to Manuha Temple, built by the exiled King Manuha, before stopping at Nanphaya, said to have been the residence of King Manuha. You will also visit Ananda Temple, an architectural masterpiece, as well as the Oakkyaung Monastery, which is decorated with multi-colored mural paintings. End the day with some breathtaking sunset views from the terraces of an ancient temple. This morning you will begin the day with the extraordinary experience of ‘Balloons Over Bagan’. As the sun slowly rises, you will be treated to spectacular views as you float over hundreds of pagodas, which dot the landscape as far as the eye can see, and most of which date back to over a thousand years ago. Once you have returned to land, continue your exploration of this unique area. This will include a visit to Lawkananda Pagoda, located along the river. Continue on to East and West Phet Leik, which houses clay plaques depicting Jataka scenes, as well as the Thatbyinnyu Temple, the tallest in Bagan. Other notable sites to visit are the Shwegugyi Temple, the Palace site and Tharaba Gate. After lunch and a short rest, continue on this afternoon to visit Apeyadana Temple, which holds some well-preserved paintings of Mahayana. Also stop at Dhamayangyi Temple, one of the bigger temples with some of the finest brickwork in the area. End your day with a peaceful sunset cruise along the Ayeyarwaddy River, before returning to you hotel. Fly to Mandalay, the last capital of the Myanmar Kingdom. (Bagan to Mandalay flight included) This morning you will take a sightseeing tour of Mandalay which includes Mahanumi, a life like Buddha image; visiting a gold leaf making center. to see the gold leaf still being made by hand; marble sculpture and tapestry workshops and Zaycho Market. In the afternoon visit the Old Palace grounds; Kuthodaw Pagoda, known as the world’s largest book for its 729 marble slabs inscribed with the Buddha’s Doctrine; Golden Palace Monastery, noted for its exquisite wood carvings; Atumashi Monastery; and Kyauktawgyi Pagoda, where a huge image is carved out of a single block of marble. At sunset enjoy the panoramic view of the city from Mandalay Hill. After breakfast, set off on a 1½-hr drive to Pyin U Lwin (formerly known as Maymyo, named after Colonel May, a veteran of the Indian Mutiny and commander of the Bengal Regiment temporarily stationed here in 1887). Located a good 1000m above sea level, this former British hill station is home to a range of red-brick colonial buildings, and also famous for its delicious coffee. While ascending into the Shan mountains towards this old colonial holiday spot, make sure to stop to enjoy the picturesque views and visit a local vendor selling fresh strawberries and jams. When you arrive you will have the chance to explore the area with its local market and cafes downtown, before continuing on to the nearby Botanical Gardens, founded in 1915 by a British botanist, which cover an area of more than 170 acres of land and 70 acres of water. Stop to have lunch in the garden at December Farms. Make sure to try one of their delicious homemade yogurts, ice creams or milkshake for dessert. After lunch, you will also have the option of riding in a horse-drawn cart to the Thiri Myaing, formerly known as the Candacraig, a beautiful colonial mansion which was built in 1904 by the British Bombay Burma Timber Company for their expatriates. Return back to Mandalay in the early evening. You will be transferred to the airport in time to catch your flight to Heho, where you will be met by your guide. (Mandalay to Heho flight included) From here you will proceed by road to Pindaya (60Km), a small, quiet town, about an hour and a half drive. Visit Pindaya caves famous for its thousands of centuries-old Buddha images of various sizes, some carved into the face of the rock and some deposited in niches in the walls. Next visit a home based paper and umbrella making industry where you will be able to see all of the steps in the process starting with the gathering of local plants to the finished product – beautiful, decorative paper umbrellas. Check into your traditional cottage hotel. Enjoy the drive to Inle Lake which passes through some beautiful scenery. Upon arrival at Nyaung Shwe Jetty, transfer directly to your floating hotel to check in. Today you will have a full day on and around the lake. You will see the unique method locals use to row their boats, fishermen with their own style of fishing, floating farms and gardens and a handloom weaving cottage with its own showroom. You will visit Phaungdawoo Pagoda which houses the five most revered Buddha Images in the southern Shan States and Nga Phe Cheung Monastery, formerly known as the Cat Jumping Monastery, which got its name from formerly teaching cats to do tricks but has hence stopped this practice due to overly worked cats. You can still enjoy the many roaming cats while learning about the Shan style Buddhas at the beautiful mid nineteenth century teak monastery. It is a great location to witness monastery life on the lake, as it is located right on the outskirts of a massive floating garden. Set off early by boat and head south to experience the unspoiled culture and traditional lifestyle of the ethnic groups of Pao and Inthas in Sagar (about 3 hours away). Here you will find an array of attractions, from the unique sunken stupas, which are often flooded by water, to the friendly people and beautiful surrounding landscape. This is a hidden gem on Inle Lake which, as of yet, hasn’t attracted many tourists. You will be transferred to the airport in Heho in time for your flight back to Yangon. (Heho to Bagan flight included) Arrive in Yangon where you will be met and transferred to your hotel. Today you will enjoy a walk through the busy streets of Chinatown. Here you will find a mix of both Chinese and Burmese food stalls, numerous gold shops and bustling markets selling old and new souvenirs. You will begin with a walk observing the historic colonial buildings of downtown Yangon on your way to visit the Sule Pagoda, which predates the famous Shwedagon Pagoda. This Pagoda serves as a religious refuge from the hustle and bustle of surrounding city life and is also home to antique camera shops and palm readers. Savor the calm atmosphere and the twinkling sound emitted from the pagoda’s summit. You will then have the chance to explore the famous Bogyoke (Scott) Market, home to hundreds of stalls selling local souvenirs. In the afternoon you will go for high tea at the legendary Strand Hotel. Enjoy some traditional tea and snacks as you take in one of SE Asia’s grandest colonial hotels. Afterwards, enjoy a ride by rickshaw along the Yangon River and to see some of the beautiful historical colonial buildings in the area. Your rickshaw ride will come to an end at the Botataung Paya, whose spacious riverfront location and lack of crowds give it a more down-to-earth spiritual feeling. Explore the evening fruit and vegetable market, a great place to witness the daily life of the local vendors and consumers. End your day with a walk down the locally renowned 19th street for some delicious BBQ and a well-deserved ice cold Myanmar beer. Your driver will meet you at your hotel for your private transfer to the airport, where you will arrive in time for your onward flight.